Imagine this: it’s 110 degrees in Arizona and your RV cooling unit whirs to a halt. Or how about this: it’s 15 degrees in Alaska and your RV heater stops spitting out warm air. Each is a situation in which you don’t want to find yourself, and each requires a different solution. 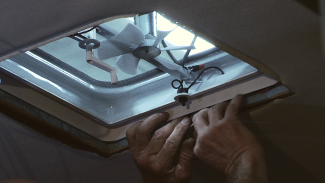 Do you know how to fix a faulty RV furnace or increase airflow in your RV’s roof vents? 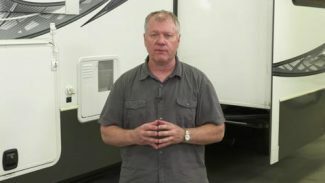 We think everyone should be able to maintain and repair their RV cooling and RV heating units, because you never know what could happen when you’re out on the road or how close you’ll be to a service station when it does. 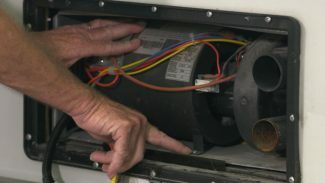 So in this how-to series, we teach you the simple tips and techniques you need to properly maintain, fix and upgrade RV heaters and A/Cs. 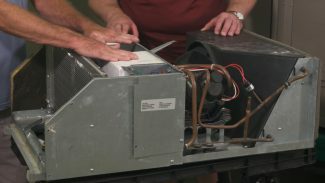 With our expert tutorials, you can follow along as we walk you step by step through a range of maintenance procedures, including troubleshooting a finicky RV furnace, utilizing an airflow meter and programming a digital thermostat to monitor your RV heating and RV cooling. Trust us, you don’t want to be stuck in a cold snap or a heat wave without proper knowledge of your air-making appliances! 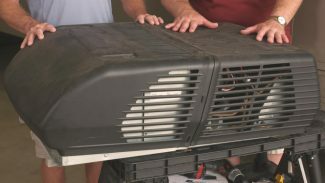 If you’ve traveled in your RV during the peak of summer, you may have experienced what happens when the air conditioning unit goes into overdrive to combat the high heat: condensation! 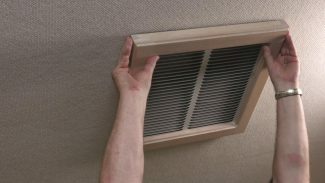 Air conditioner condensation can drip into the interior of your unit and cause a few different problems, including soiled carpet and increased cabin humidity.